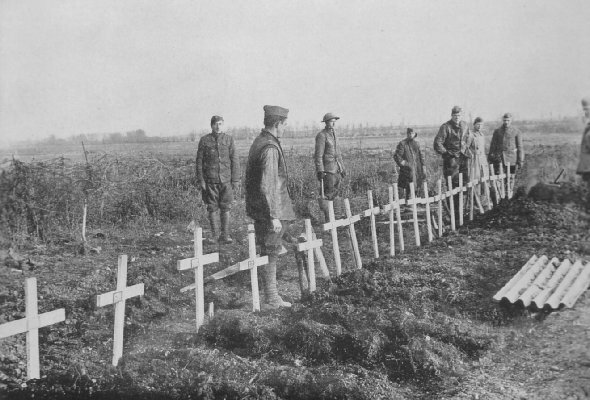 Graves of some of the men killed the last day of fighting, six hours after the Armistice was signed. Watronville. 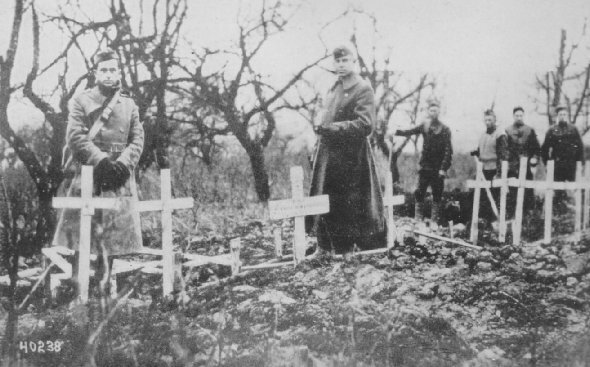 Graves of men of 324th Infantry, who fell during the last three hours of war. Looking toward wood which the enemy held when the Armistice went into effect. The less said about this, the better.